Grey fillings, white fillings or CEREC/E4D ceramic restorations? When a cavity develops, filling (also called filling) is necessary to prevent possible damage to the tooth. A grey (amalgam), white (composite) or other filling material may then be required. Some materials can better meet the patient’s needs. The choice depends on the size of the cavity to be filled and the location of the cavity. Where there is a higher chewing force, a stronger material is usually required. Each of these types of filling has advantages and disadvantages. The choice of grey or white fillings should be limited to small dental repairs, because each time they have to be redone, the teeth become more fragile. A filling is used to prevent the progression of cavities by preventing bacteria from penetrating deep into the tooth. Cavities must be treated quickly to prevent infection or damage to the tooth. The dentist performs local anesthesia in the area where the tooth is located. The cavity is removed by milling. The filling material is inserted into the cavity. Following local anaesthesia, it is possible to experience an absence of sensation in the lips, gums, teeth and tongue. It is only temporary and everything will return to normal a few hours after the operation. A newly filled tooth may be sensitive to heat, cold and chewing for some time. The teeth surrounding the filling may also be sensitive. The pain will disappear after about two weeks. If the pain persists, it is important to contact your dentist. It is recommended not to chew food where the filling is located. However, if the filling cracks or breaks, consult your dentist as soon as possible. It is also important to follow an adequate oral hygiene routine after the placement of a filling. 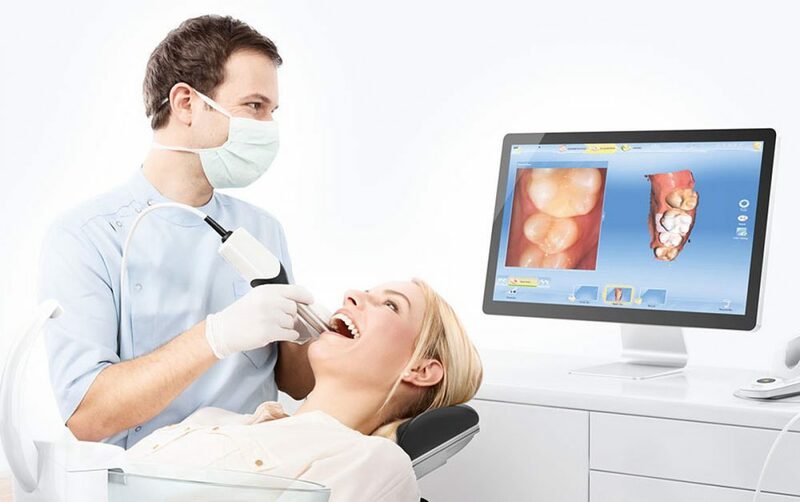 CEREC/E4D technology can replace a filling (grey or white composite filling). This method can also be used to restore or strengthen a tooth almost permanently when there has been significant deterioration or multiple fillings. It is not recommended for minor restoration but is much stronger than a filling. The old filling and decay are removed. Images of the cavity are taken with an infrared camera connected to a computer. A ceramic block is cut to size according to the piece of tooth to be replaced. The restoration is then fused with a permanent cement and polished.